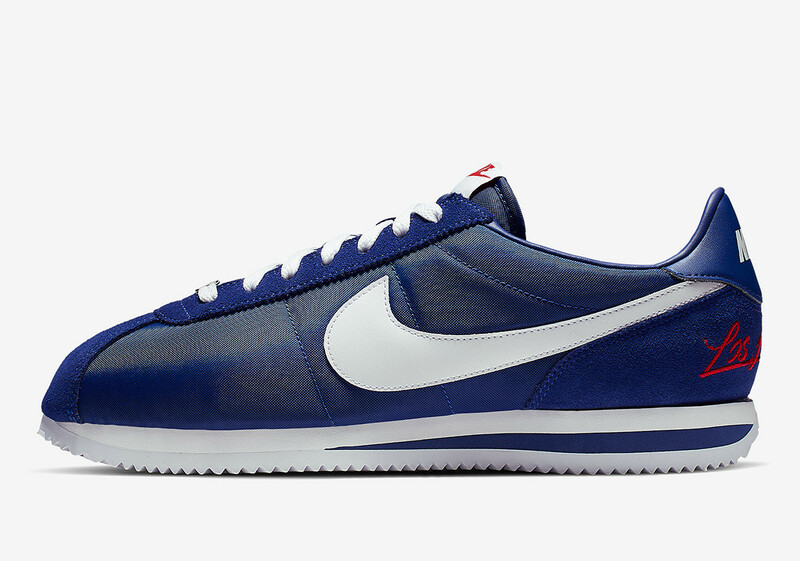 Nike has plans to release to Los Angeles themed Cortez colorways on April 1, one of which nods to the Los Angeles Dodgers and another inspired by the L.A. Kings. 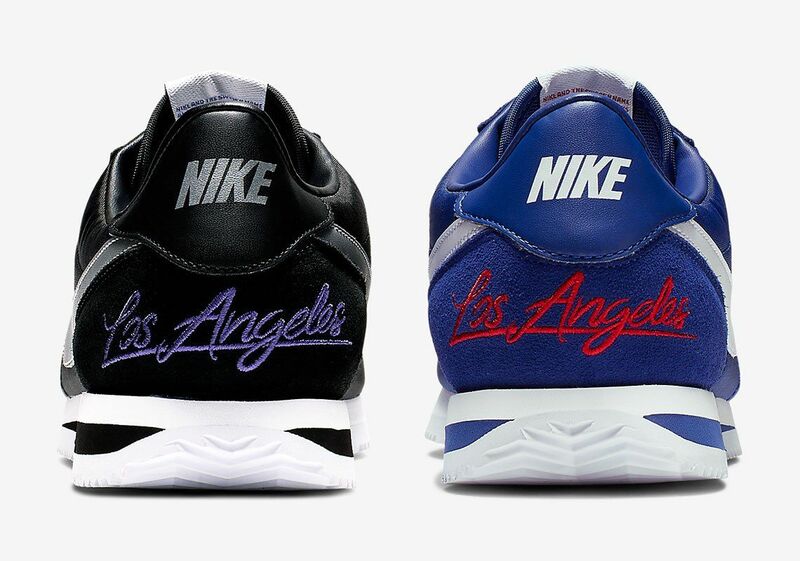 Both of the kicks are highlighted by "Los Angeles" script on the heel, as well as a similarly styled text on the insoles. 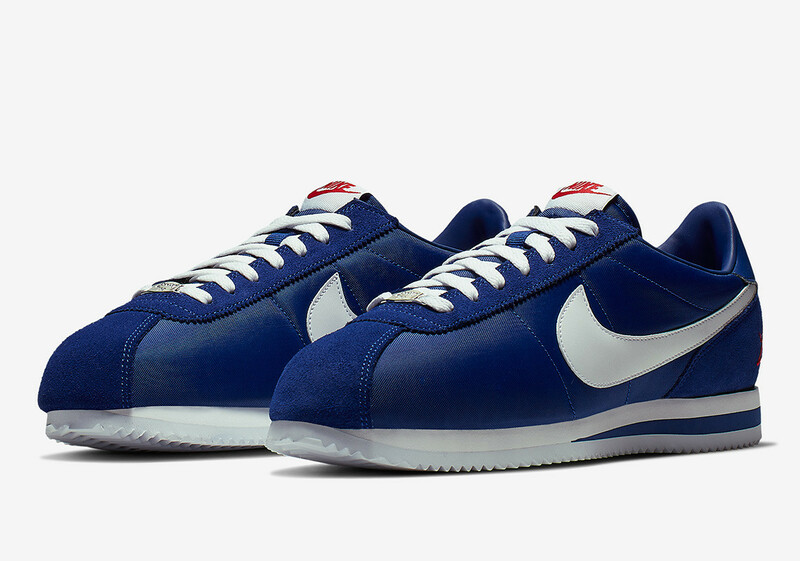 As one would expect, the Dodgers-themed Cortez features a royal blue upper accompanied by a red script detailing. 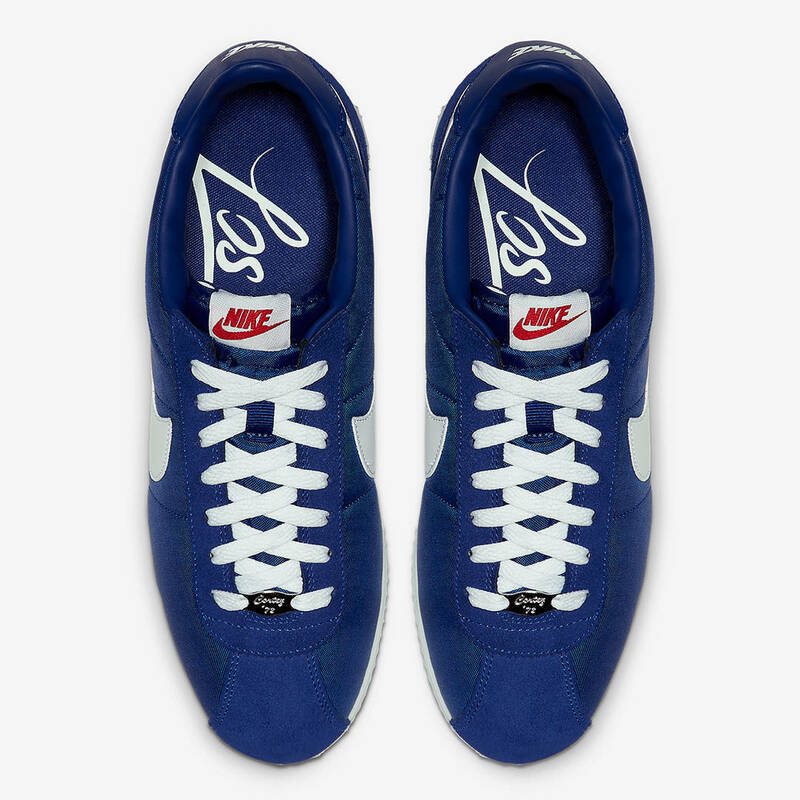 Additionally, the kicks consist of a white Nike branding, white laces, and a white midsole. 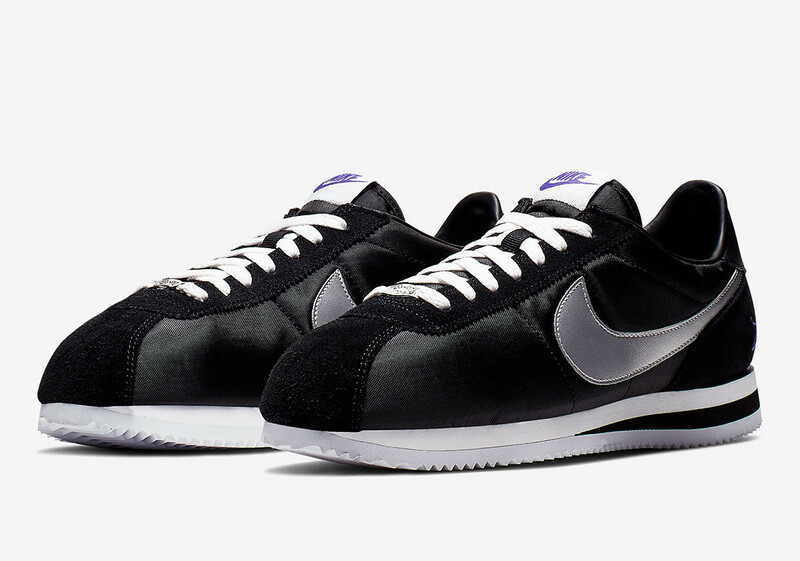 On the other hand, the Kings' Cortez boasts a black upper with purple script detailing and a metallic silver Nike swoosh. Priced at $100, both kicks are reportedly set to debut on April 1. Check out some additional images below. 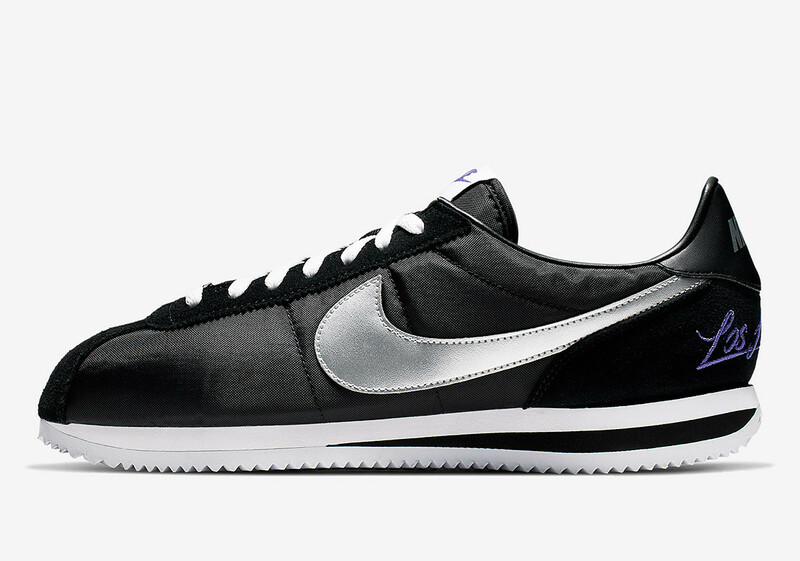 Sneakers Lifestyle News los angeles nike Nike Cortez Nike Cortez Los Angeles Nike Cortez L.A.